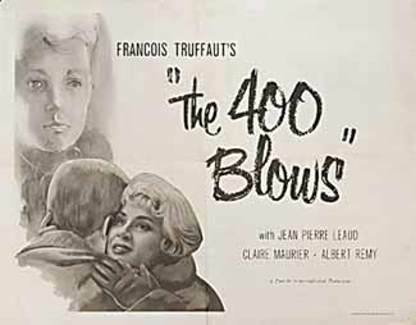 Calling The 400 Blows a "coming-of-age story" seems somehow inadequate. 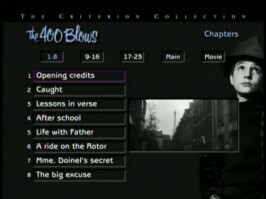 The label, while accurate, does not indicate either the uniqueness or the cinematic importance of this motion picture. 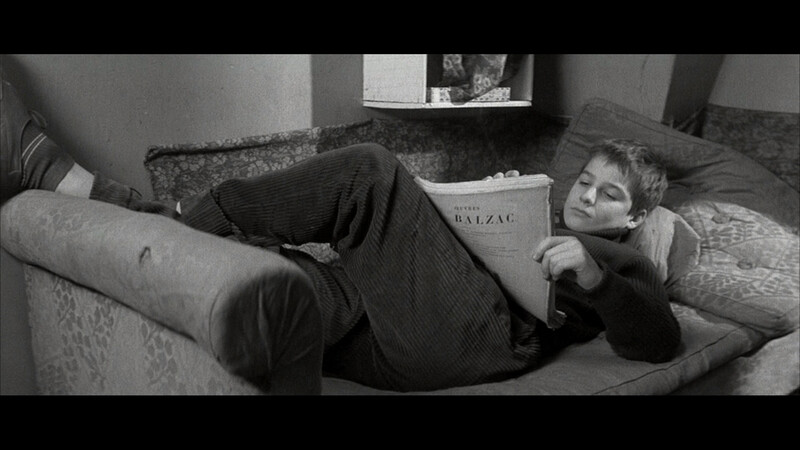 These days, the average coming-of-age story tends to be a lightweight affair, often tinged with nostalgia and rarely perceptive. 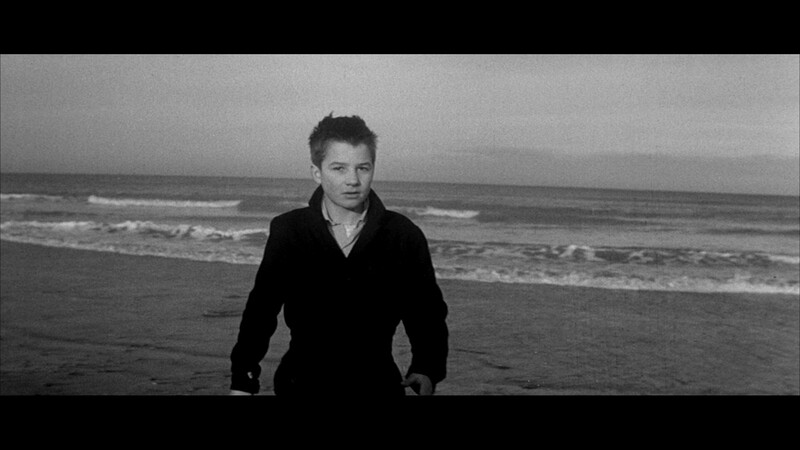 Such is not the case with The 400 Blows, which takes an uncompromising, non-judgmental look at several key events in the life of a teenage boy. With all of the melodrama leeched out, we are able to view and understand the factors that shape his present and the direction of his future. 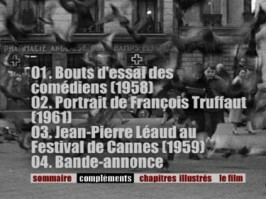 ADDITION: Criterion - Region 'A' - Blu-ray - March 09': In short the dual-layered Criterion looks marvelous. 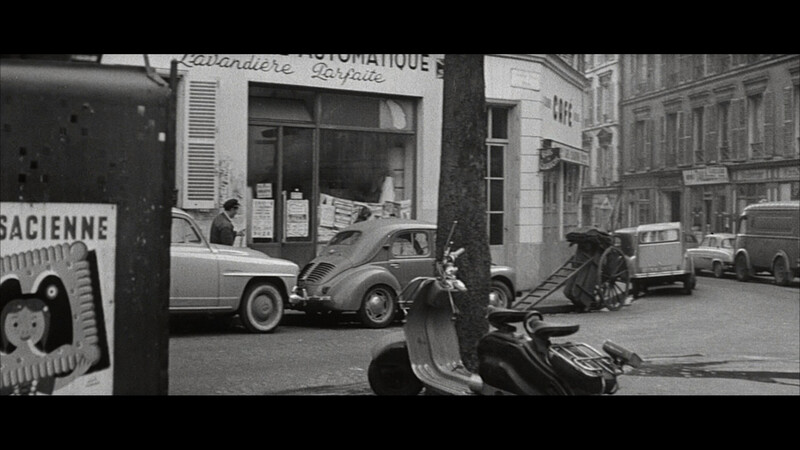 It is as grainy as the single-layered Warner / MK2 Blu-ray but tends to show minutely superior contrast leaving the French edition to be slightly darker (maybe even some green/sepia infiltration) in that regard. 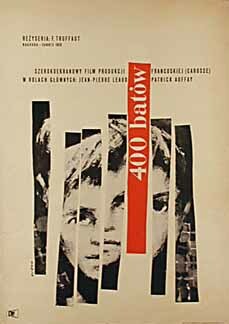 Detail seems comparable with no extravagant advantage one way or the other that I can discern despite the much higher bitrate on the Criterion. Damage marks seems similar indicating the same source. I feel reasonably confident that I was able to match the captures accurately. 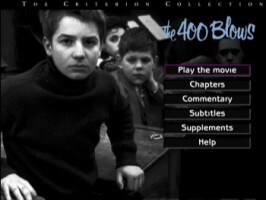 Whether our static captures can give the best interpretation or not - it is evident that the Criterion, as well as having English subtitles, is the best digital presentation of The 400 Blows anywhere in the world. It is magnificent - I'm already think Blu-ray of the Year. Where the MK2 went for the fake 5.1 bump - Criterion stick to original mono - in an uncompressed Linear PCM track. It is pure and clear sounding probably as close to perfection for that 1.0 channel as possible. 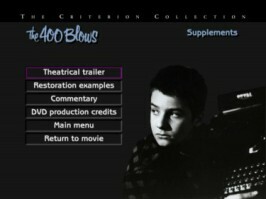 I admit to liking the DTS-HD but for purists this Criterion audio is the ultimate for appreciating the film. 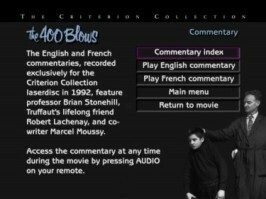 Extras remain stacked to the gills with the same two audio commentaries available on the previous SD-DVD release - one by cinema professor Brian Stonehill and another by François Truffaut’s lifelong friend Robert Lachenay. 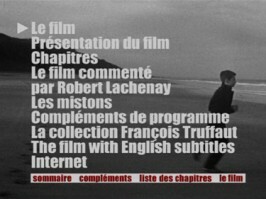 The other digital supplements are all in HD with 6.5 minutes of rare audition footage of Jean-Pierre Léaud, Patrick Auffay, and Richard Kanayan, another 6-minutes of newsreel footage of Jean-Pierre Léaud in Cannes for the showing of The 400 Blows, an excerpt from a French TV program with Truffaut discussing his youth, critical writings, and the origins of Antoine Doinel in The 400 Blows and Antoine and Colette. This runs 22 minutes. 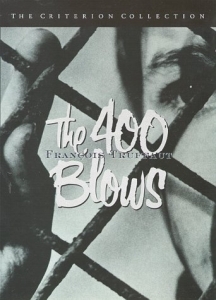 There is a short television interview with Truffaut about the global reception of The 400 Blows and his own critical impression of the film with optional English subtitles. 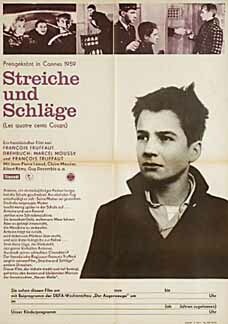 There is an HD theatrical trailer for The 400 Blows and finally an 8-page leaflet with essay by Annette Insdorf as well as production and transfer information. This Criterion release is almost perfect with the only authoring flaw that I could see was that the folder and file name for the Blu-ray disc itself is 'El_Norte' ?!? which will affect absolutely nada for your viewing pleasure. 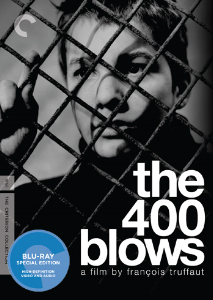 This is one of the Blu-rays to own as far as I am concerned. No serious home theater should be without it. 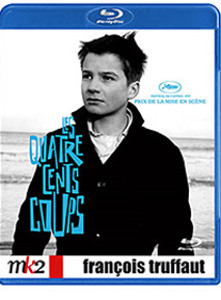 ADDITION: Warner / MK2 - Region 0 - Blu-ray - December 08': This is more a precursor to the upcoming Criterion Blu-ray of The 400 Blows available on March 24th, 2009 HERE. We will add it to this comparison. 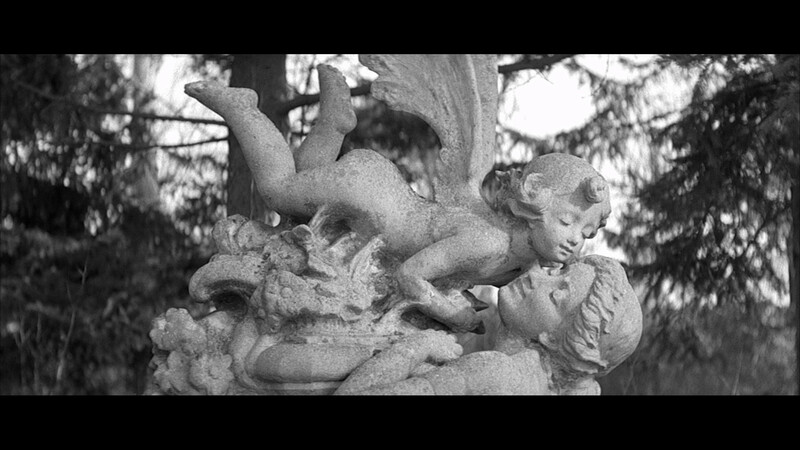 This single-layered 1080P transfer improves upon all the DVD releases - most notably in the textures of the black and white contrasts which exhibit a more pronounced depth. 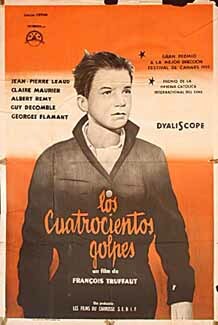 Although visually, in static screen captures, this may appear slight - for this particular film it can have an enormous effect on your viewing experience (it did me.) 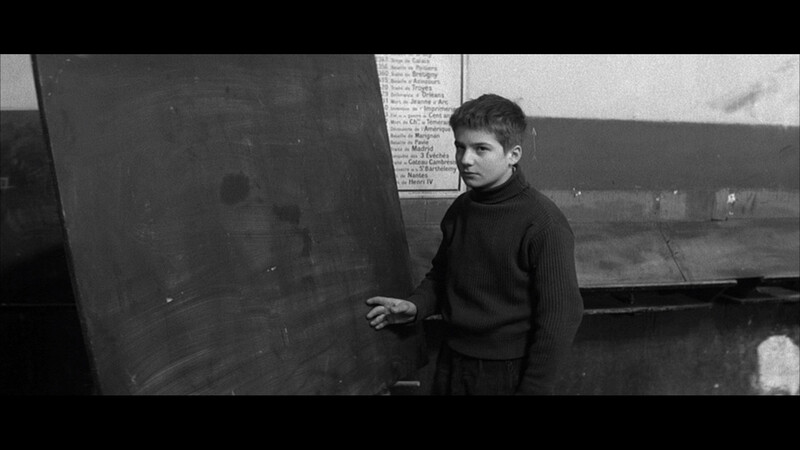 Some other quick observations; more grain/less noise, detail superiority (through toggling with the Doinel Box version), a shade more information in the frame, marginally brighter with different damage marks indicating either restoration or a alternate source from the previous MK2 SD-DVD. In my notes I have an instance where the aspect ratio seems a bit skewed with characters heads appearing abnormally oblong - but the anomaly didn't seem to repeat itself. 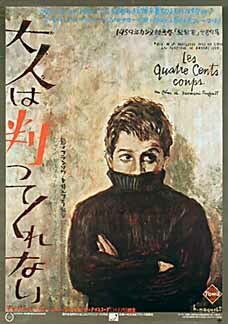 Regarding the audio - the music sounded fabulous to me in this DTS-HD Master 5.1 track with those interspersed plucking zither-like guitar strings giving a crisp, tight, more pure chiaroscuro aura to The 400 Blows. 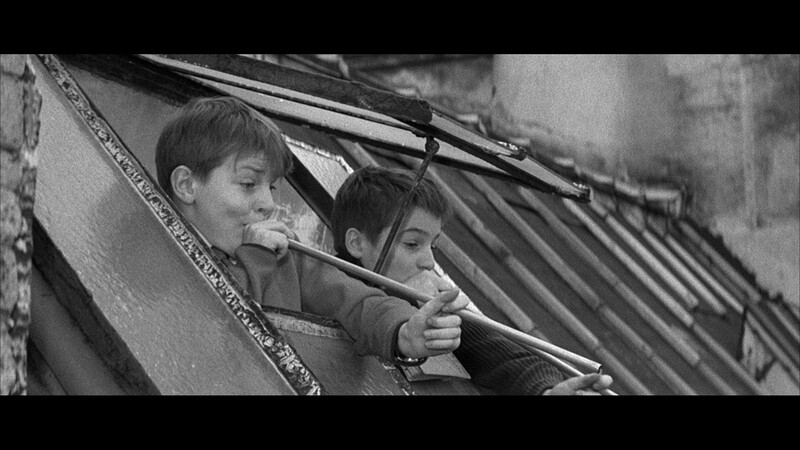 For me, it was one of the more delightful aspects of this Blu-ray. 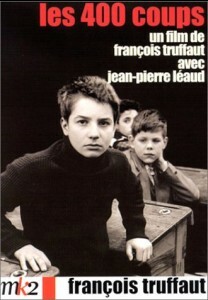 Although my French is far too rusty to trust, the extras seem to include a screen test (or interview) with a couple of the boys including Jean-Pierre Léaud. These are almost 7-minutes long, in 4:3 but presented in HD - as is a 3 minute trailer for the film. *NOTE: Presently it does not indicate on Amazon that it is a Blu-ray - but it is. 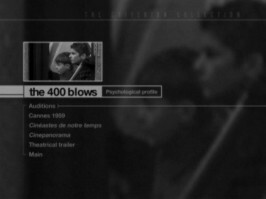 ON THE DVDs: (written in 2003) The new "The 400 Blows" from the Antoine Doinel Criterion Box set appears to be slightly horizontally (in comparison to the old Criterion) and vertically cropped (compared to the Mk2). 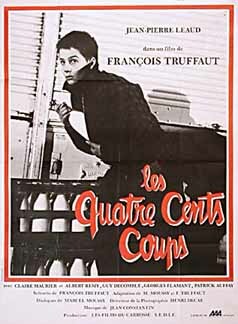 The contrast of the new Criterion is far superior to the old 'Out of Print' version but on a par with the Mk2. 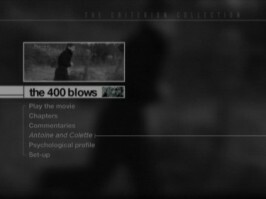 Most noticeable to me is how the faces of the new Criterion version are fatter and in the old Criterion version they look slimmer. This is similar to the 'Jules and Jim' controversy we had in the comparison of the Mk2 vs. the Fox Lorber. Sharpness goes in a slight edge to the newest Criterion over the Mk2 - PAL. All in all, these three editions are not totally dissimilar, with nice extras on each. Be happy with whatever you have and if you don't have any, buy the Criterion Boxset. 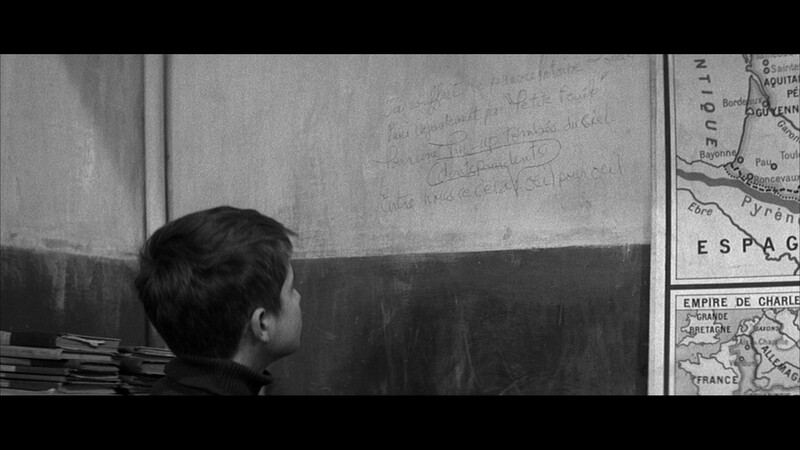 To adequately see the aspect ratio manipulation of the Criterions please put your mouse over the following image. 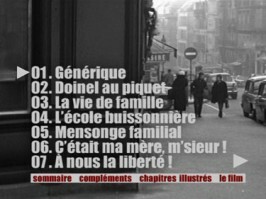 The initial image is from the new boxset, the appearing image when moused-over is from the 'Out of Print' version. 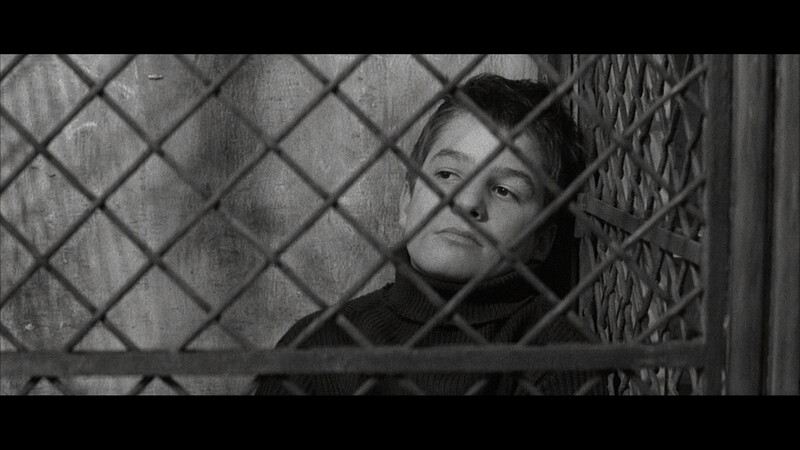 I can assure you that this is the very first frame after visibly seeing the game board while Antoine is locked up. It is a huge difference! 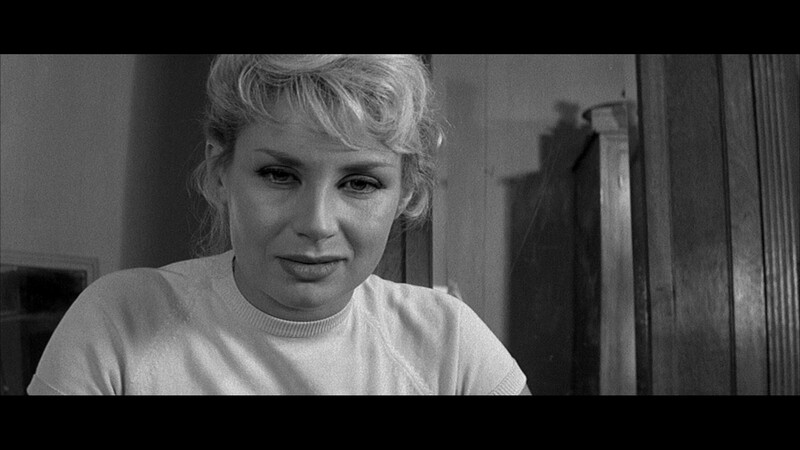 NOTE: Notice how the slight damage is more prevalent in the original Criterion DVD version.